There has been recent concern that artificial turf contains harmful chemicals that may pose potential health risks. KQED asked students this question: Should we continue to install artificial surfaces and turf, knowing potential dangers and health risks, or should we use natural grass? You can read more about it in the Do Now entitled, Should We Install Fields of Artificial or Natural Turf? 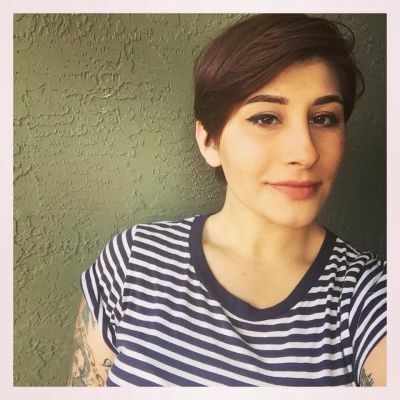 Julianna Cecere is a Digital Media intern for KQED Education. We asked her to weigh in on the recent #DoNowUTurf post. There has been a lot of buzz around the claim that artificial or synthetic turf contains harmful chemicals. Many people are concerned that these chemicals can pose long term health risks such as cancer. Turf is composed of “crumb rubber,” a substance made from chopping old recycled tires into thousands of tiny pieces. The crumb rubber used in turf is suspected to carry carcinogens such as lead and mercury. It is scary to think that the turf that people are playing on can potentially cause cancer. However, the fact of the matter is that there is not enough research to confirm or deny such claims. There has been recent study where the Consumer Product Safety Commission conducted a test on artificial surfaces to address such concerns. The studies showed that although artificial turf contains amounts of lead, it is not enough to be harmful to humans. There has yet to be released research testing the presence of other chemicals. There is no research that confirms that artificial turf is harmful to humans, or that it may lead to health risks. Rubber floors don’t have to be scary though, there are many benefits to installing artificial turf. For starters, it saves water! We can save up to a million gallons each year vs. using natural turf. Since California has been experiencing one of the most severe drought sin recorded history, saving water is a big pro! Also, the crumb rubber used to make artificial turf is used from old rubber tires, a substance that would be nearly impossible to recycle otherwise. I recognize people’s concerns that turf may be potentially harmful to people. I also feel that if CA was not in the middle of a severe drought, that natural grass would be ideal. However, until there is enough research to prove that artificial turf is harmful, I don’t think that we should just start tearing out existing turf fields because the benefits outweigh the potential risks at the moment. After joining the student discussion on Artificial vs. Natural Turf, I observed that many students feel differently than I do. 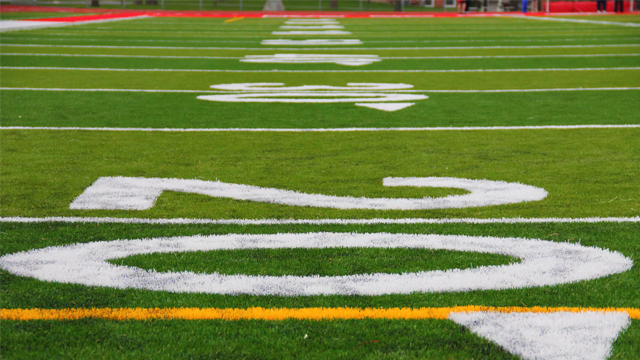 Many students believe that artificial turf should be removed for various reasons. There were of coarse, students who felt that artificial turf need not be replaced. Here are their responses! Meaghan Uhl had a very thoughtful response. She shared a link to her blog post where she shared that in all her years of playing on artificial turf as an athlete, she has not seen any negative effects. Juliana Barranti also shared a link to her blog post on why she thinks artificial turf should not be used. She believes that people should not take the risk. Brian Goodzey says turf fields are a great substitute, but would prefer his sports muddy. #DoNowUTurf Turf fields are a great substitute, but in my opinion, turf fields take the fun out of the sport. Football should be muddy. Maguire Mathis shared that there is no reason to worry as long as there is no proof that turf is harmful. Mavis wrote that instead of using grass, there should be an installation of artificial turf that is not harmful. There are many uses for SBR. Only 5% of the waste stream is used for playing fields. The rest is used for paving and other uses. But even if it were 100%, are we really saying that a toxic material must be installed in fields that destroy habitat, because no one has yet figured out what to do with it? Very interesting point. Thank you for providing sources to support your claim! Artificial Turf seems like the better option, not saying we should get rid of natural turf but why not have both? Artificial turf will save CA some water, especially with the drought thats going on, and make a use of old tires that are extremely hard to recycle. Prev What Is the Islamic State? A Curated Collection of Videos on the Extremist Militant Group Next Is Storing Health-care Data in the Cloud a Good Idea?